A stunning ball gown that will make you feel like cinderella. 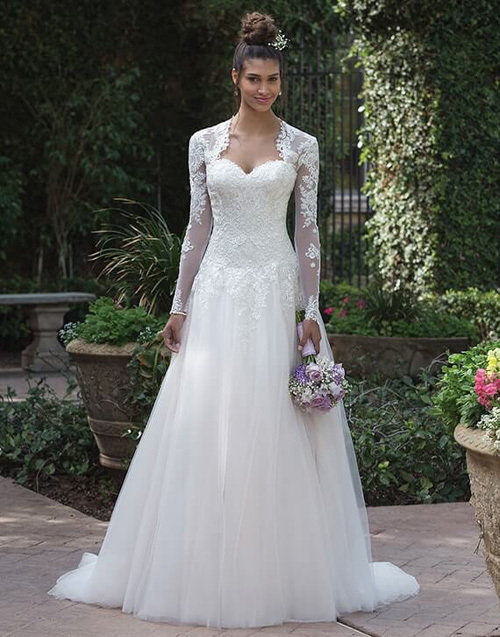 A sweetheart neckline bodice that is covered entirely with beaded lace. Complimented with a long sleeve bolero with matching beaded lace across the back and down the sleeves. The wedding dress has a button down zipper closing.